HideMyAss, or HMA as it's popularly called, is among the older privacy and encryption services in the world. And since they keep expanding their reach, they have the biggest network of servers. Covering over 190 countries, they have probably left only Antarctica out! 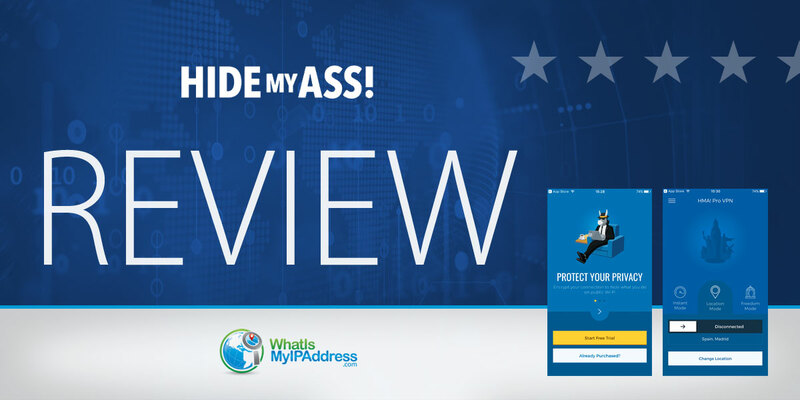 HideMyAss offers several great features for VPN users. For example, its Load Balancing will allow you to find a server with the minimum traffic so you can get the maximum speeds. Anyone who has used HMA will tell you that their apps are very easy to use. However, that shouldn't be a major reason to subscribe to it because several other providers offer easy apps. The prices are the industry average and there's a 30-day money back guarantee that lets you get your subscription payment back if you're not satisfied with their services. If you're a Netflix fan, you'll be happy to know that HMA can bypass Netflix VPN restrictions to allow you to stream movies without any issues. Not many people know that HMA is a part of the Avast family. If you've already used other security products by Avast, you might like HMA too. They have a 24/7 live chat support that will answer your questions promptly. StrongVPN is a US-based VPN company. With their remarkable features and low prices, they are among the top VPN providers in the world. Their VPN is easy to use and works on a number of devices. While they have many strong points, speed isn't the best feature of StrongVPN. In fact, the speeds on most servers leave a lot to be desired. However, there are many things that make them a favorite among several customers. HMA support staffers are available on live chat, email, a ticketing system, and social media. The only place where they're not available is by phone. However, since most VPN companies don't provide phone numbers, you're not missing out there. The live chat is always active. You simply enter some basic details, such as your name and email address in the form, and begin chatting. I tried the service twice at different times and each time I got a reply within a minute. If you're not in a hurry or if you're on the go, you can send an email to them or open a service ticket. You can access their online community as well. They have a thriving user community and you might find an answer from one of their members. HMA also a large knowledge base (something like an answer library to common questions). You'll find everything there — from basic instructions to solutions to common problems. If you're looking for a simple web proxy to bypass your school restrictions, you'll get it for free at HideMyAss. However, if you're looking for a VPN for more privacy, security and access, you have two choices — Individual VPN and Business VPN. There are three individual plans: month-to-month, six-month and 12-month. They all come with a 30-day money-back guarantee. You are free to cancel anytime and ask for a refund. You even get a free trial (you still have to fill out your payment details, though). You should know that their money back guarantee comes with some limitations — if you have used over 10GB bandwidth or have connected to their VPN over 100 times, you will not be entitled to a refund. The plans are available in monthly and yearly terms, and should you need a custom plan, they can create one for you. Just contact them and let them know. There are not a lot of payment methods with HMA. You can pay via credit cards, PayPal, or UnionPay. It is unfortunate that even though they are an established VPN provider, they do not include cryptocurrencies in their payment options at this time. HideMyAss offers apps for all major platforms. including Windows, Mac, iOS, Android, and Linux. However, software downloads can be made only when you've paid for the VPN. Registering on the website for an account will take just a few minutes. Once you're done with the registration, you can download the setup files and install them on your devices. You can run 5 devices simultaneously with just one subscription. Using HideMyAss VPN is very easy. If you're a new VPN user, you'll like their Instant mode. The Instant mode will connect you to the fastest server automatically and you don't have to look for the right servers. If you are in a restricted country (where there is routine censorship), you should select the Freedom mode, which locate a country without restrictions and connect you to a server there. They also have a Location mode that will help you find a server in the location of your choice. However, things are different when you use their VPN service. They don't log the websites you visit, but they do log other things. For example, they will log your IP address and the server you connect to. And they'll also log the timestamps. These partial logs don't track the websites you visit, but can be used to track you through your IP and timestamps. While HideMyAss provides several useful features, its few logging practices can be considered a red flag — especially among users who want to secure their privacy. Being among the oldest online privacy-oriented businesses in the world, HMA VPN gets many takers. Their fair prices, free-trial offer, and 30-day money back guarantee make them an attractive option. They offer secure connections, with the OpenVPN protocol and AES 256-bit encryption. And since they bypass the Netflix restrictions on their Liberty Island server, they have become a popular choice among movie lovers. You can also unblock BBC using their Donkey Town server. They have good speeds, unlimited bandwidth, and 24/7 live chat support. They are also a part of the Avast family, so they've got a well-known brand name attached to them. And yet, they are not the number one VPN provider in the world. In 2011, HideMyAss handed over the records of one of their customers to the police. This led to the arrest of the customer, who was using the HMA free proxy. Also, in 2016, HMA played a role in the arrest of another customer by providing his details to law enforcement agencies. The customer had been using the paid VPN service of HideMyAss. Here's the take-away: if you want your details to be completely hidden, HideMyAss is not the right provider. While hiding behind a VPN to commit a crime is not right, a VPN shouldn't betray the trust of their clients who haven't committed crimes or are using the internet with an expectation of privacy. Taking all this into account, is HideMyAss a good choice for you? It depends. If privacy is not your main concern, you can choose to use HMA for their speeds and large network.